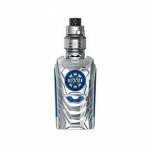 The SMOK I-Priv is a revolution in vaping technology. The aluminum-alloy chassis gives the device a solid hand feel. This customizable mod provides users with a variety of unique features. 6 customizable colors are available on the display screen. Features an LED flashlight on the base of the device. 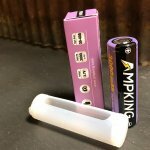 Compatible with 21700, 20700, and 18650 batteries (Batteries Not Included) with the adapter sled. Maximum output of 230W . A round "Arc Reactor" TFT screen on the front of the SMOK I-Priv allows users to see puff data. Two settings buttons allow wattage and setting adjustment. Utilizing voice control software, users can issue voice commands to adjust settings. Settings on the SMOK I-Priv include Variable Wattage mode, Memory Mode, and Temperature Control Mode compatible with Ti, Ni, and SS coils. 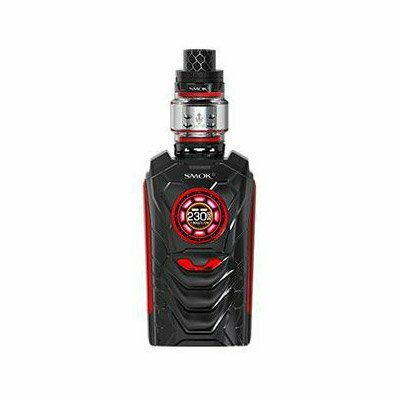 On top of the SMOK I-Priv Kit is the best selling TFV12 Prince Tank. 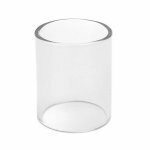 Featuring a locking top-fill mechanism and 8mL vape juice capacity. 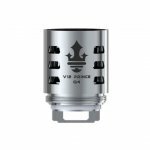 Utilizing one of the largest coil families on the market, the TFV12 Prince Tank is compatible with a variety of SMOK coils. Adjustable airflow with large dual air ports. 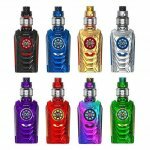 A perfect tank for the SMOK I-Priv Vape Mod. *Requires Removable Batteries. Not Included.